Blending cooked vegetables for a soup or pureeing fruit for a dessert are pretty typical tasks in any commercial kitchen. Therefore it makes sense for chefs and cooks to have on hand a blender or mixer that would be effortless to take with them from pot to bowl throughout their area. 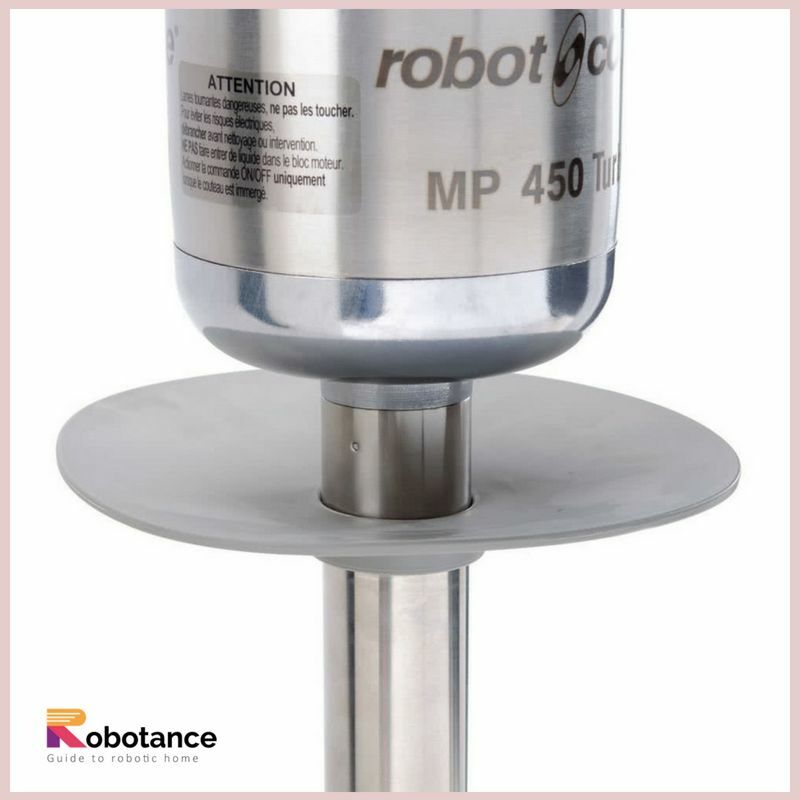 The Robot Coupe MP 450 Turbo Mixer is the appliance that perfectly suits your requirements in an easy way. 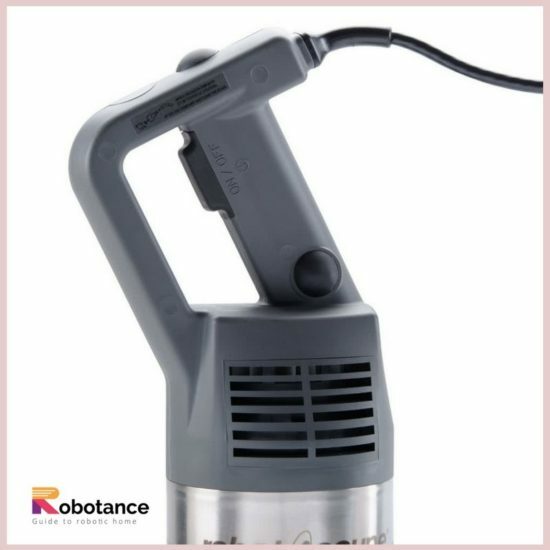 The hand-held immersion blender has one speed and ergonomic handle, making it easy for both you and your staff to use. 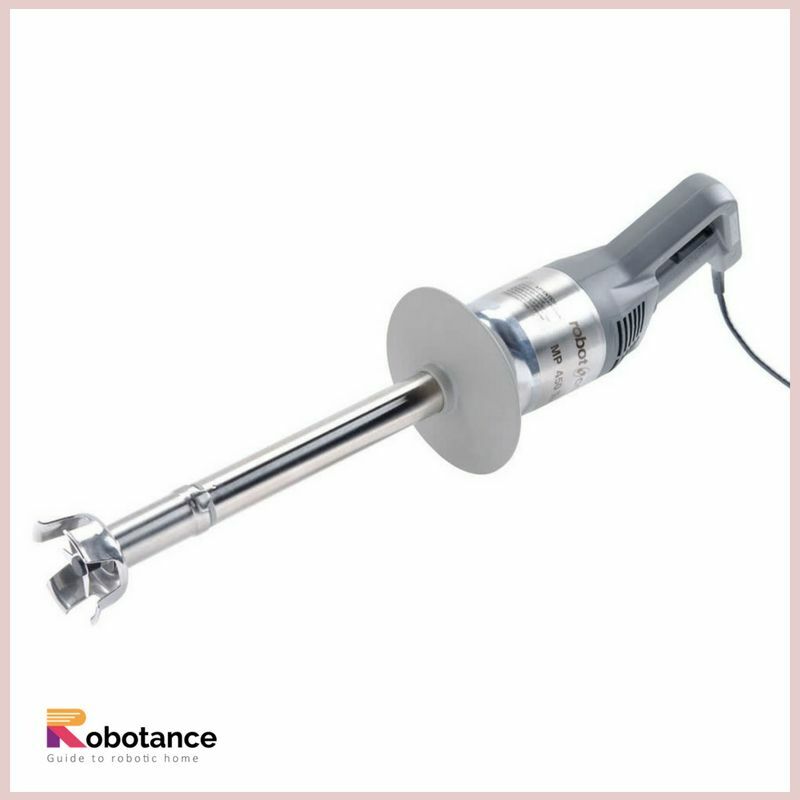 The shaft is made from stainless steel, so it is easy to handle to complete the blending process. 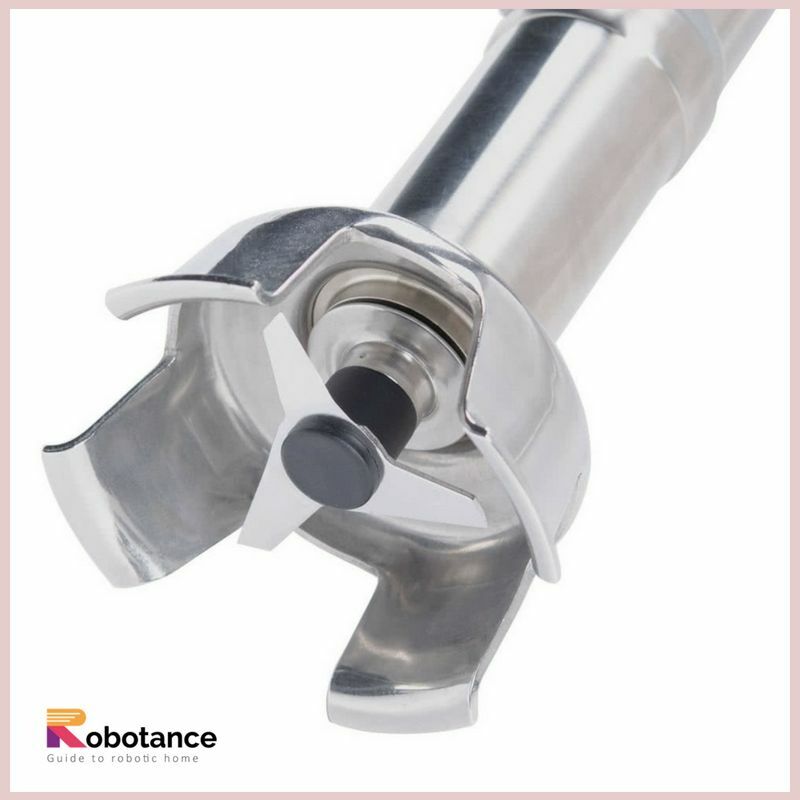 The foot and blade, also constructed out of stainless steel, are durable and can be removed for cleaning. Easily and quickly power your access trough fruits, vegetables, and more with this blender. 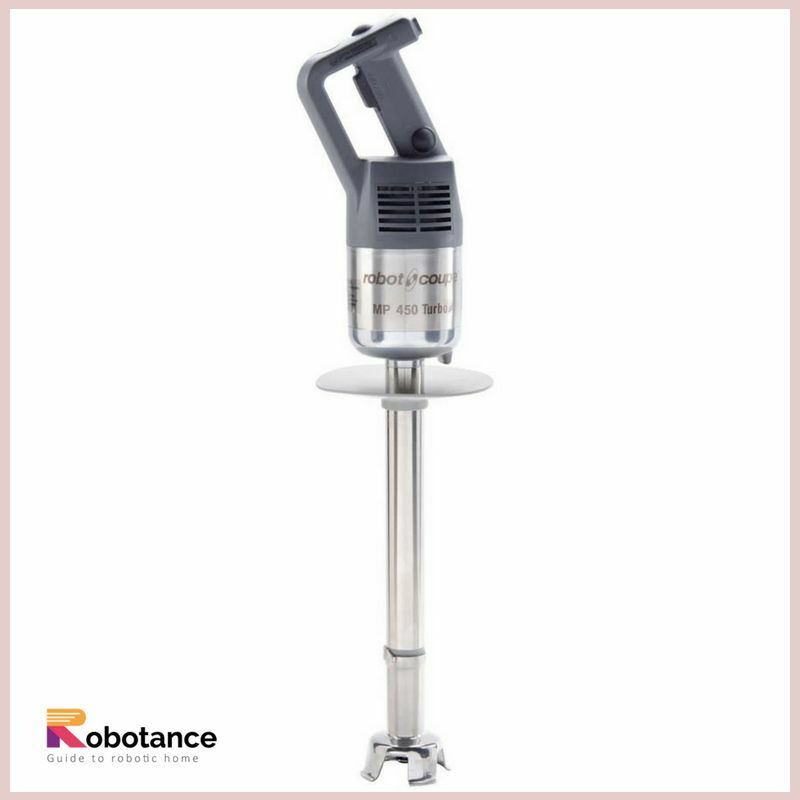 This turbo blender has a 1.1 horsepower motor with self-regulatory functioning to achieve accuracy. This blender is great for liquefying and pureeing soups and sauces and blending to make delicious recipes in your commercial kitchen. 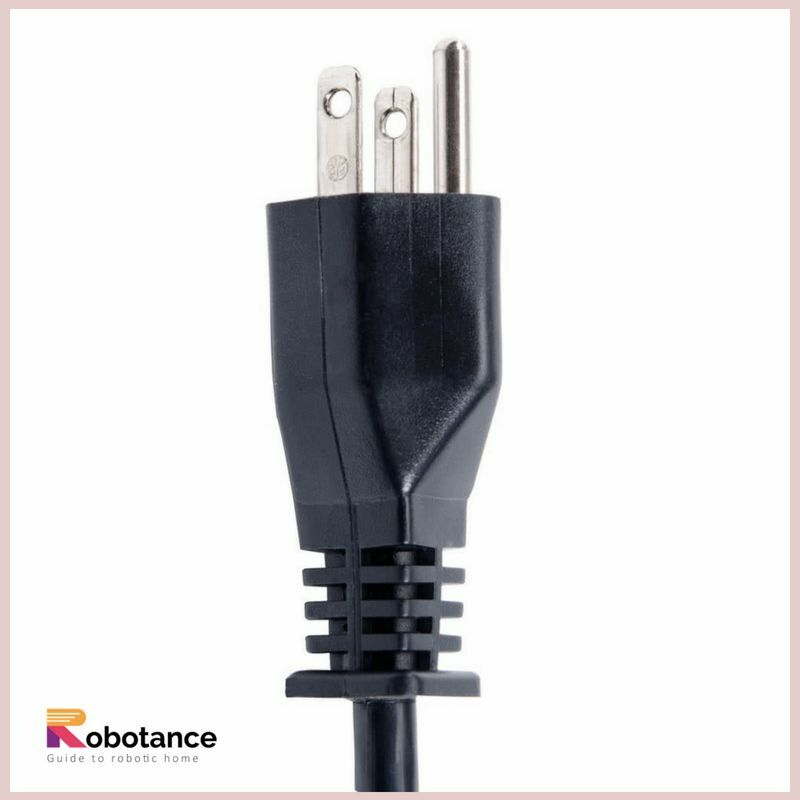 Also, the power cord can be easily replaced if it’s torn or worn out because of its designed or engineered in such a way that it can be used detached way too. 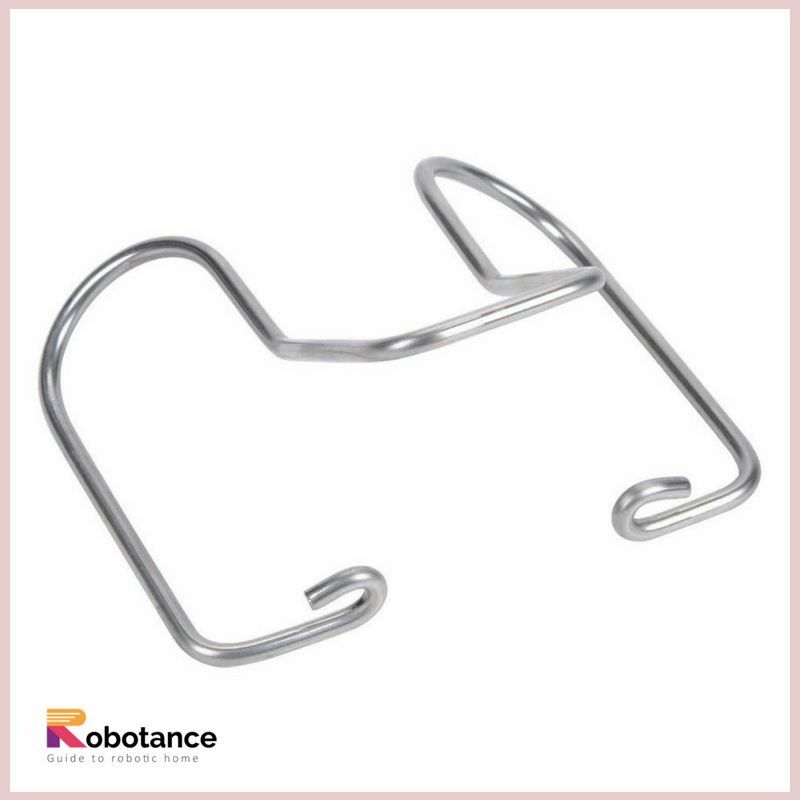 The stainless steel blade can be assembled or de-assembled easily for cleaning. For comfort, an ergonomic handle reduces weariness during use, while a locking button enables continuous operation. New power cord: It is designed in such a way that winding system for tidy storage and increases lifespan. Stainless steel tube, bell, and knife for a life longevity. Entirely dis-mountable foot and knife. Robot Coupe’s exclusive patented device has been developed. Hand-held immersion blender has one speed and ergonomic handle, making it easy for both you and your staff to use. The shaft is made from stainless steel, so it will be able to handle completing blending jobs. 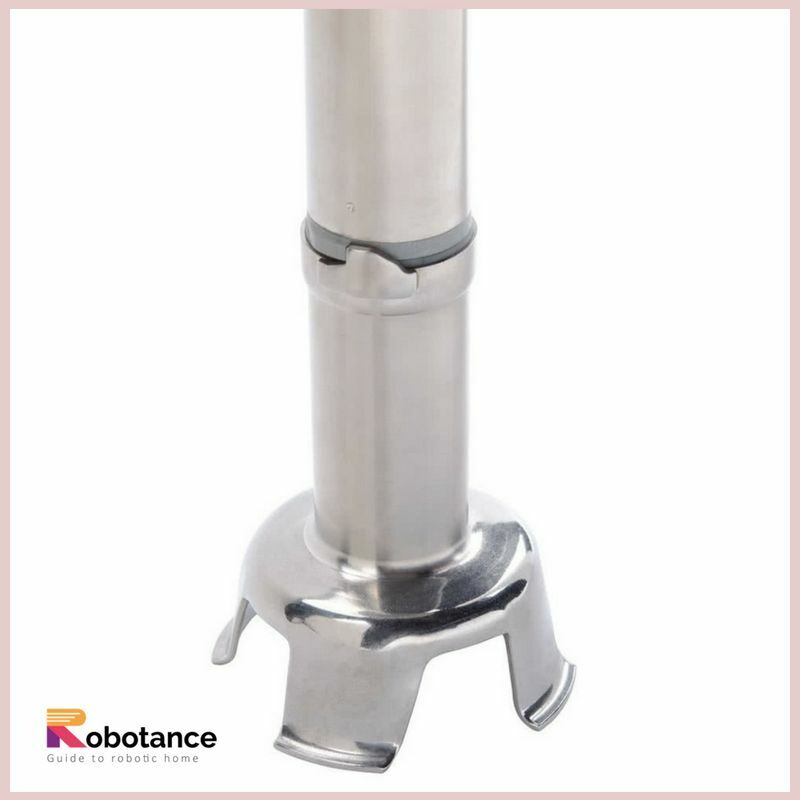 Foot and blade, also constructed out of stainless steel, are durable and can be removed for cleaning. 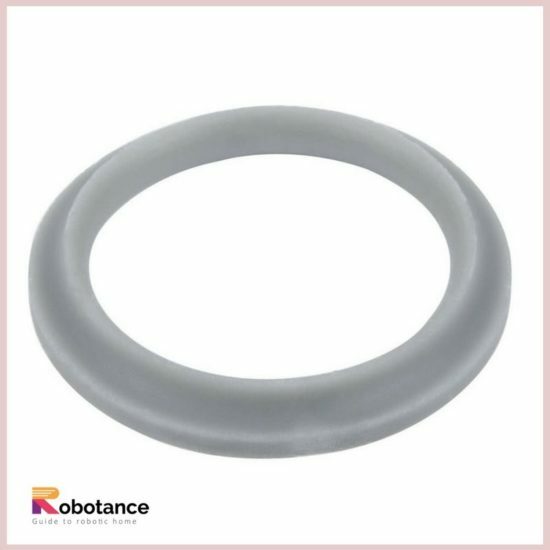 1 year “no hassle” replacement warranty. UL Listed: This product is UL listed by the concerned certified agency which means it meets safety and structural set standards and bars for use in food service operations. It has been made mandatory by the Robot Coupe to meet minimum requirements for product safety, is produced in a facility that meets conformity measures, and it also undergoes periodic inspection before dispatching of the product. Did you follow the previous operating instructions? Is the machine too hot? Allow the power mixer to cool. Then retry. Pull the plug and try another outlet. Make a quick review/check on the GFI trip indicator. Make sure the circuit breaker is also functioning in a proper way. Local Service agencies can be called for immediate action. Release the control button (CB). Are the blades free to rotate in the bell? What if driver shaft is not rotating? To make a quick check on this, Unplug the blender, remove the bell and just test the rotation manually. Also, check the plug and power cord condition. Turn the power mixer off and unplug it. Call your local authorized service agency. The machine trips the GFI (Ground Fault Interrupt) outlet. The motor or controls are wet or damaged. Do not attempt to use the mixer until it has been repaired by qualified service persons. The Blades are Sharp! It is recommended that cutting gloves be worn when handling the blades. 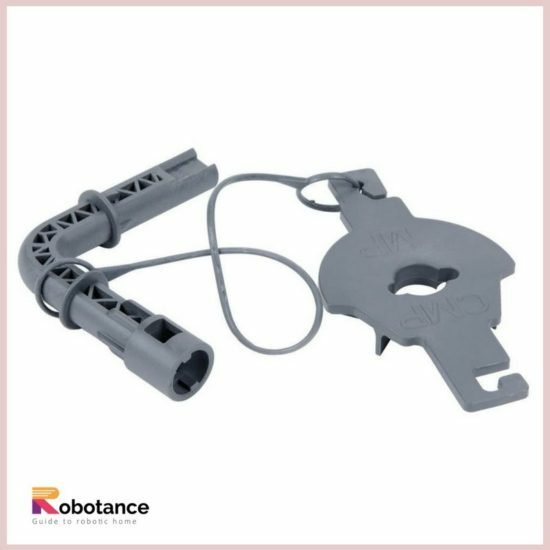 Handle and store the blades with safety in mind. Never try to defeat the safety mechanisms! 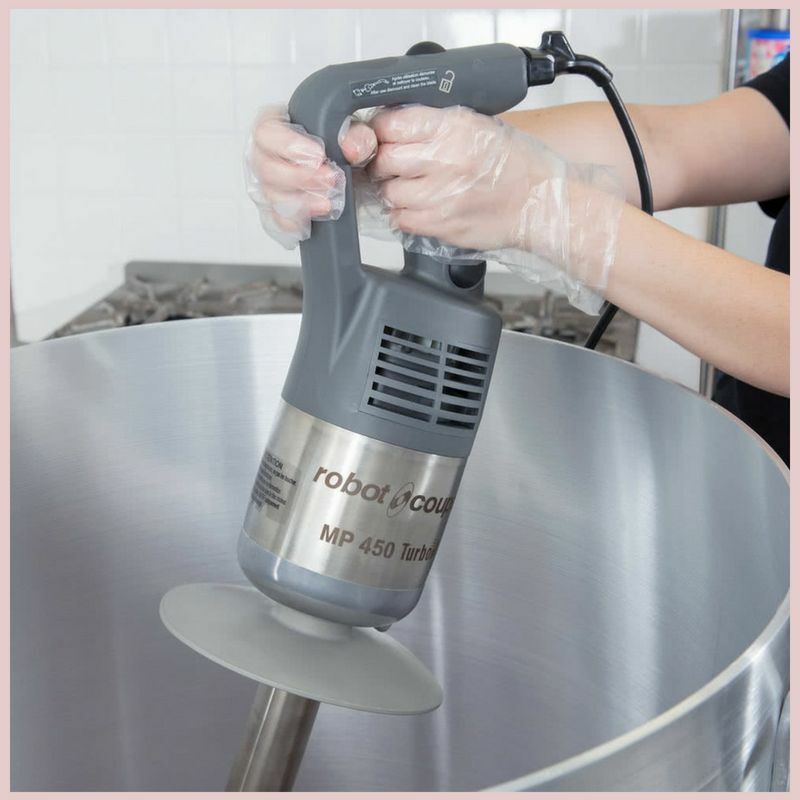 Never put anything: It can be utensils or any kind of food material near the blades on the power mixer! Never overload the power mixer! 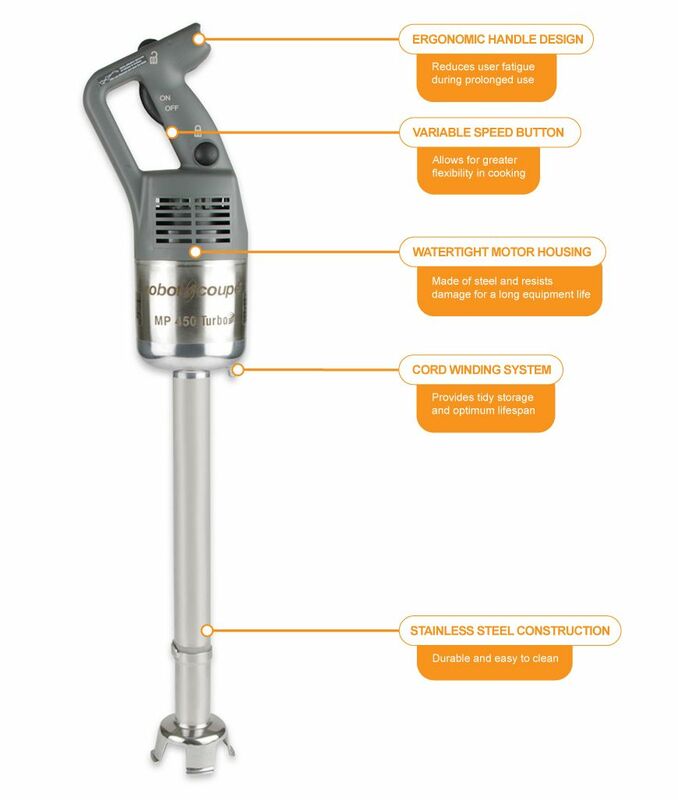 Always unplug the power mixer before doing any cleaning or maintenance! A number of design features give this immersion blender a long life. 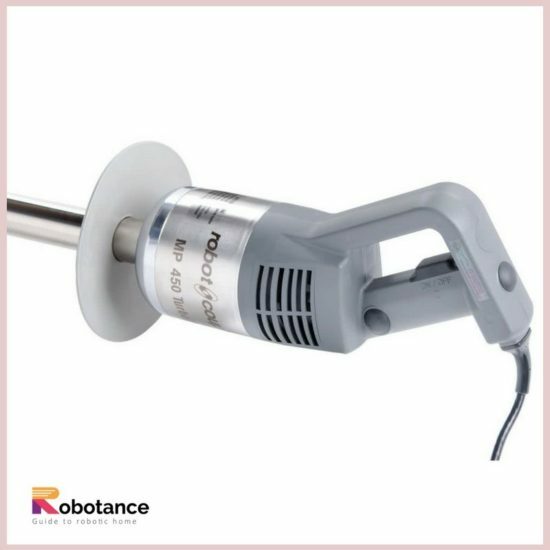 The removable stainless steel blade allows for quick and easy sanitation and maintenance, while an ergonomic handle with multiple variable buttons makes it super easy for operating and speed enhancement. Love this great kitchen appliances review. Obsessed with MP450 Turbo and it’s an amazing machine for the price. We have loved it for close to 2 years now it makes the food blending easy for us.